Although the Galaxy Note 9 doesn’t look set to provide any major upgrades on the external side of things, Samsung does seem to have made some significant improvements to both the internal hardware and the software, with ones of these upgrades seemingly being related to the camera. Back in February alongside the debut of the Galaxy S9 and S9+, Samsung announced a new Super Slow-Motion mode that allowed users to capture 960fps video at a resolution of 720p. And, while the feature was certainly impressive, the devices were only capable of capturing 0.2s of video at that frame rate – when slowed down sufficiently, that amount of time equates to a few seconds of footage. 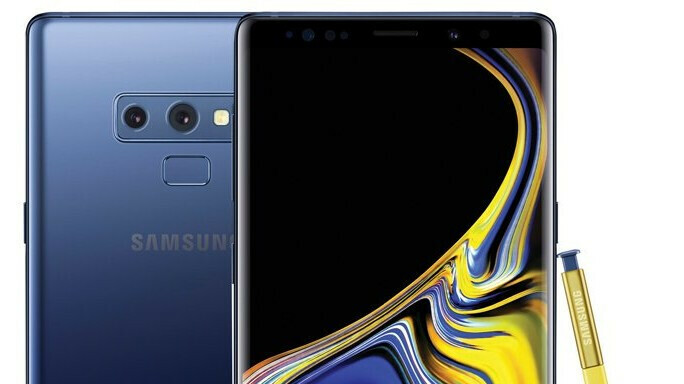 But, according to one industry source, Samsung is keen to improve upon these current limitations and will allow the Galaxy Note 9 to capture a total of 0.4s of video at the high frame rate, exactly double the amount currently possible with the Galaxy S9 series. While the amount of footage looks set to be increased, the South Korean brand seemingly has no plans to up the resolution to 1080p, thus giving Sony’s Xperia XZ2, and presumably the Xperia XZ3 when released, an advantage over Samsung’s device. However, what remains unclear right now is whether the company will push out an update to the Galaxy S9 and S9+ in order to extend their capabilities. After all, both the Galaxy S9 series and the Galaxy Note 9 are expected to feature the same camera hardware. If Samsung does choose to update the Galaxy S9 duo, the brand will likely disclose its decision at the Galaxy Note 9 launch event. Speaking of which, it’s currently expected to take place on August 9 and will also see Samsung announce its new tablet lineup and the Galaxy Watch. Grow up...or blow up (just for you). He's an LG fanboy, that explains why he keeps "bootlooping" the same old joke. Lol, that's how it's done. Post of the day. You win!!!!! +++++1M. My only question would be, Super Slo-Mo @ HD vs FHD, will you even notice the difference in quality for 0.4secs of footage. I don't think this is the same as the clones who claim you can't tell 1440p from 1080, simply because their daily driver is stuck in 2013. Difference between 960fpsHD and 960fpsFHD is huge in daylight. Because both look bad at night. Wait for updates on the S9..yay! Twice as long? Meh... needs to be at least eight times longer to be useful as a golf swing slo-mo cam. 2 times more capture time ... still only 720p. I wonder what is more difficult 0,4@720p (Samsung) or 0,2@1080p (Sony). I'll pick Samsung's 720p, it's noticeably brighter in indoor situation. Brighter does not mean more details - it's just a "slider".